When teaching men how to craft an expository sermon they often ask me to describe for them in some detail the procedure I go through in preparing an expository sermon. To be clear from the get-go, you must understand there is no “right way” to prepare an expository sermon. Yes, there are some things that must be done, but the way they are done, and the order in which they are done, varies from preacher to preacher and from text to text. I will give you my general approach. I say that it is my “general approach” because there are many exceptions in how I construct my sermons. Also, keep in mind that every step of sermon preparation is an entire field of study. I cannot give you a seminary education in one paper. This is merely an overview of the process, not a detailed explanation of each step in the process. However, it should clarify what is involved in crafting an expository sermon. Volumes have been written on the science and art of preparing sermons and this meager offering will be like trying to teach you how to become a heart surgeon in one hour. I regret I cannot explain and give illustrations of everything I am saying. I do hope to offer more details on www.drivennails.com as I am able in the future. Did You Miss Something In Your Training? I have talked to quite a few men who graduated from well-known seminaries, received a lot of training, yet did not have a clear step-by-step idea of how to craft an expository sermon. The reason for this is twofold: First, they probably weren’t preaching on a regular basis while attending seminary, which leads many to have a theoretical idea of how to craft sermons, or second, because there is no “one right way.” They may have developed a way, but it may be very time consuming. Though their way may get the job done, it isn’t efficient. You can skin a deer with a tiny surgical scalpel or a skinning knife designed for the task. Both will get the job done, but one will get it done faster than the other. However, knowing there isn’t “one right way” doesn’t help the poor preacher who is struggling to craft expository sermons from scratch week by week and has no idea what he is doing. Often the first year in the ministry is a nightmare because there is no “template” to follow, no general process of putting an expository sermon together. Too much time is spent in some areas and not enough time on others. Sundays can feel like a locomotive bearing down upon you while you are tied to the tracks. Only a finished sermon will set you free. Sermons produced while figuring things out for the first time are often less than stellar, and to be frank, many pastors get discouraged because their congregations expect them to be excellent expository preachers right out of seminary, or as soon as they step in the pulpit. Congregations also prefer to hear the best sermon they have ever heard, every week! How selfish of them! No pressure, guys. They want good, clear, engaging, accurate, helpful sermons! The gall! But don’t you want the same thing? Yep. Everyone loves a good sermon. Before I discuss the process of preparing expository sermons, I do wish to digress and speak to a very important and related subject. Any man who feels he is called to the ministry should have a strong passion for ministry right? Yes! He should want to serve the Lord in the context of the local church, right? He should be serving and teaching the Bible before attending seminary, right? He should be actively involved in a local church preaching and teaching during seminary, right? Yes! Yes! And yes! I say this to you who are seminary students or you who are thinking of attending seminary because you cannot wait until after seminary to see if you are gifted for the work you are being trained to perform. Don’t wait until you graduate to discover if you are called and gifted to preach after sacrificing a great deal of time and money to be trained for the ministry. Do not be deceived into thinking that a seminary degree will somehow arm twist the Holy Spirit to give you the gift of preaching. No, the Holy Spirit gives us our gifts at salvation as He wills (I Cor. 12:7). Get as much preaching and teaching experience as you can before and during your seminary training. Granted, you will be very green. You will surely crash and burn on a regular basis, but you must at least see if you have some raw, unrefined, spiritual gift to preach or teach before and during seminary. While attending seminary, even though the homework load is crushing, you should be preaching and teaching like a machine! If you are a Christian, you need to obey the Word of God and exercise your spiritual gifts in the context of the local church. Peter says in I Pet. 4:10, “As each one has received a special gift, employ it in serving one another as good stewards of the manifold grace of God.” That is you! That is every Christian. Studies, sports, college, or seminary are optional, exercising your spiritual gift is required. There is nothing anyone can do to help you become a decent expository preacher if you haven’t been gifted to preach. If you have, you should be exercising your gift, preferably before, and certainly during seminary. You learn what you don’t know in the process of doing. I think it was Charles Spurgeon who said, “The only way to learn to make pots is to make pots!” Along the way you will fail. Failure is humbling but helps you become a better student. Failure makes you teachable! You know what questions to ask and what the teacher is talking about when you are in the trenches yourself waging the good warfare. Maybe you are a pastor with years of preaching experience, but you haven’t been trained in preparing expository sermons. Maybe you haven’t gone to seminary and your circumstances preclude you from ever going to seminary. However, you still have a passion to preach the Word of God clearly and accurately. This is why this website, www.drivennails.com, exists. I have traveled to various countries and encountered many pastors of churches that are too poor to uproot their families, travel to another country, get a first-rate seminary education, and then return home. They don’t want to leave their flocks unattended for three or more years. They do want training in how to be an expository preacher. I want to help you! I graduated from seminary in 1991. I learned a very detailed lexical, syntactical, problem solution approach to studying a text and preparing sermons. It was a great method if you intend to write a journal article or if you had 6 weeks to prepare each sermon. I immediately discovered that I often had to prepare 1-2 sermons and 1-3 Bible studies a week. It was clear that the very thorough and technical approach I thought I was going to use wasn’t standing the test of real-life ministry. I had to find a way to craft quality expository sermons in far less time if I was going to survive. I talked with friends who had recently graduated from seminary and was amazed to discover that many of them were having the same nightmarish problems I was having trying to figure out how to prepare quality expository sermons in the time they had to prepare. I also discovered among the seasoned preachers I talked to that they had settled into a method of their own and that each preacher’s method was different! Even my peers, who graduated from the same seminary I graduated from, had figured out their own way of putting their sermons together. This was an eye opener for me. In my naiveté, I thought there would be one right way, “a method” to adhere to, but no, that is not the case. The method I am presenting in this paper is logical, sequential, and a bit wooden and mechanical. It doesn’t match what I do every week or what any other expository preacher does every week, for that matter. It is a starting place, a framework to get you on the right track. Different texts, literary types, sizes of texts, knowledge of the Word, resources available, etc., demand different approaches to your sermon prep. Yet what I hope to provide is a realistic template you can modify for yourself over time. While it is true that some aspects of sermon preparation must come before others, often ideas come to mind or information is encountered in the process of sermon preparation, which changes the general sequence of how you may normally put your sermon together. It is not an exact science. 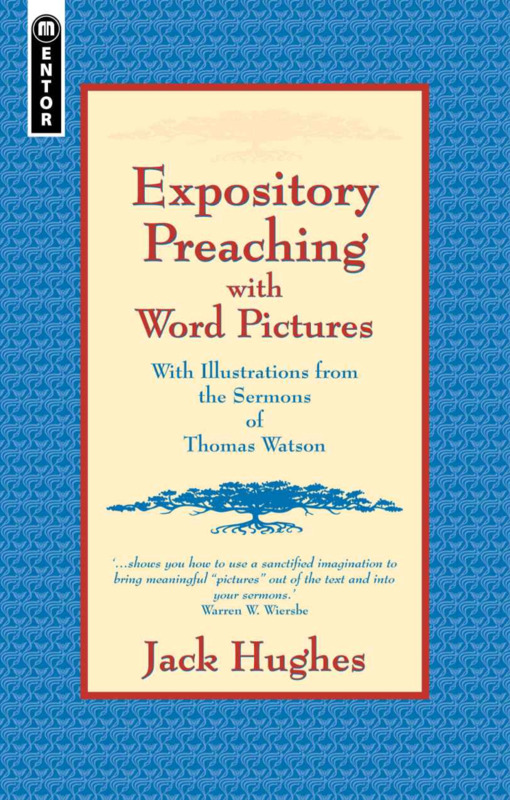 There is no formula for crafting any expository sermon from any text. The method presented below is what I normally do for a smaller text in a New Testament epistle. For illustration purposes, I will use Heb. 4:12 as our example text. Every week, and sometimes multiple times a week, you select your text to teach or preach. At first it may look like a mere block of words. Sunday is barking at your heels. You want to honor God. You want to bless your people. You want sinners saved and saints sanctified. And there is nothing on the page. You don’t feel excited, in fact, you may feel some dread, fear, and trepidation. You know you will give an account to God for how you shepherd His flock and that teachers incur a stricter judgment! You also know God has gifted, trained, and called you to be a preacher. It is time to craft another expository sermon! 1. Keep your sins confessed (I Jn. 1:9). 2. Pray and ask God for help before, during, and after the sermon preparation process. 3. Believe God’s promises that His Word will not return void but will accomplish all His good purpose (Isa. 55:10-11). 4. Work hard as a workman who does not need to be ashamed, accurately handling the Word of truth (II Tim. 2:15). 5. Remember God is the one that energizes His Word, saves sinners, and causes believers to grow–not the preacher (I Thess. 2:13). 6. Maintain personal holiness, a prerequisite for powerful expository preaching (II Tim. 2:21). Crafting sermons is a spiritual endeavor and must be accomplished by a man who is walking in the Spirit, not the flesh. The list below is not what must be included in every expository sermon, but what is often included. 2. Sometimes a sermon outline might be derived from the sentence structure and grammar of a text, this is referred to as a syntactical outline. Syntactical outlines work best when preaching propositional (epistle-like truth) from smaller texts. 3. Other times, outlines may be derived from themes or key words found in different parts of the text being preached. This is called a thematic or synthetic outline. A synthetic outline often works best from medium to larger sized texts. 4. Other times outlines can be derived from blocks of related information, like different movements in a story. This usually works well when preaching larger sections of narrative and is referred to as a block outline or an outline based on a block diagram of the text. 5. At other times an artificial doctrinal outline might be constructed from an accurate interpretation of a doctrine found in a text. Upon discovering a doctrine in the text, you expound upon that doctrine in greater detail, creating an artificial outline to organize what the Bible says about that doctrine, its meaning, importance, and application. If your text is very small, just a word or small phrase, you won’t have enough grammar to construct a syntactical outline. You need to accurately interpret the phrase in its context and then create an artificial outline based on the interpretation and meaning of the text. Thus, an artificial outline may be used as long as it is derived from the meaning of doctrine found in the text of Scripture being preached. 6. Make your outline points personal and concrete, not abstract and impersonal. 7. Include in each outline point second person “you” or “your,” a command, or an all-inclusive statement “everyone,” “all who,” “whosoever,” etc. The reason for doing this is it makes your entire sermon into application, not just the few suggestions you might insert at the end. Notice how the points in the outline above are dry, not personal, and very abstract, even though they submit to the grammar and syntax of Heb. 4:12. You can’t even tell what is being talked about from the outline. Notice how the second outline from Heb. 4:12 is personal and concrete. You know each point is talking about the Bible and not just any Bible, but the Bible your listeners own, read, and study! 1. Once an outline is constructed, then a propositional statement can be written. A propositional statement summarizes the main points of the sermon into a single sentence. Propositional statements are not a necessary part of an expository sermon, but they are helpful in letting your hearers understand, in a concise way, the content and purpose of the sermon they are about to hear. It helps them orient their minds to what you are going teach them from the text you are preaching from. Think of a proposition as a single sentence summary of the entire sermon and its main outline points. I like to include the features below in my propositional statements. The two examples of propositional statements above are second person, plural noun propositions with a “so that” statement. This is how I like to my propositional statements because it lets the congregation know that the entire sermon is for them personally and that there is a reason for learning what they are about to hear. I usually place my propositional statement after reading the Scripture to be preached. Once you have an outline and proposition you can craft an opening statement. You don’t have to create an opening statement at this time. In fact, you can wait until the very end, after you finish everything else, so you can craft an opening statement that matches your sermon content exactly. The soonest you can create an opening statement is after the outline and proposition are completed. Opening statements are used to get people’s attention, to help them focus on what God is saying to them in the text you are preaching, or to create a need or desire to hear what you are about to preach from God’s Word. Opening statements can be stories, a hypothetical situation, something interesting you read, statistics, a parable, anything that is going to get people focused, listening intently, and wanting to know what God’s Word says in the text you are preaching. While opening statements are not a necessary, they are helpful if done well and serve the main idea of the text being preached. 6. After every outline point has been treated as indicated above, then you need to write a conclusion designed to summarize the main points of the sermon and to press upon the congregation the need to obey the text. With the opening statement, proposition, outline, and text divided up under each point of the outline, I am now ready to make observations of what the text says, do word studies on key words, note any significant grammatical details, and make my preliminary interpretations of the text. The interpretation is what the original human author meant for his original audience to understand by what he wrote. I am not seeking at this point to understand what the text means to me or my congregation; that comes later. The interpretation is what the original author wanted his original audience to understand by what he wrote. Always interpret the text first before consulting any commentaries. The reason for interpreting the text first is so you are not biased by what you read in the commentaries. If you work at interpreting the text for yourself, you will often be encouraged that you found what the commentators found or even more than they found. It will also help you refine your observation skills over time as you will be able to contrast your interpretations and observations with solid biblical commentators. After you have gone through your entire sermon observing, doing word studies and making preliminary interpretations, then read as many good commentaries as you have the time and availability to read. Compare your interpretations with theirs. Insert any helpful information or quotes you find in your commentaries. Adjust your interpretation if necessary. Remember to consider the context, especially the near preceding context. Beware of any interpretations found in commentaries that the original author or audience could never have known or understood or interpretations which do not fit into the flow of the context. Once the text is understood, seek to identify timeless principles from the text which apply to any historical time and culture. This is called “principlizing the text.” You observe, interpret, and state the spiritual truth, doctrine, or principle derived from the meaning or interpretation of the text. Once you have gleaned the timeless principles from the text, it is very easy to get to the application of the text. “You shall not covet your neighbor’s wife, and you shall not desire your neighbor’s house, his field or his male servant or his female servant, his ox or his donkey or anything that belongs to your neighbor (Deut. 5:21).” Notice Moses doesn’t merely say, “do not covet,” but gives examples of things not to covet. These examples are a “sampling” and not by any means comprehensive, but they help the listener have concrete “how to examples” of what it means not to covet. “When you pray, you are not to be like the hypocrites; for they love to stand and pray in the synagogues and on the street corners so that they may be seen by men. Truly I say to you, they have their reward in full. “But you, when you pray, go into your inner room, close your door and pray to your Father who is in secret, and your Father who sees what is done in secret will reward you (Matt. 6:5-6).” Notice how Jesus teaches us to pray. He gives a negative example of how not to pray that is clear and concrete, and then He gives a positive example of how to pray. He helps His listeners gain a clear idea of how the truth He is preaching can be applied to real life situations. Many preachers create guilt in their people through strong exhortation or by asking repeated rhetorical questions, yet they don’t give their people specific examples of how to relieve their guilt through application. Application of God’s Word, obedience to His truth, is one of the ways we overcome conviction of sin. If you neglect to give your congregation application, it often leads to exasperation, and eventually despair. There must be some place where Christians are taught how to apply what they are learning from the Word of God to their life. It can happen from the pulpit or in a one on one or small group setting, but it needs to happen so people are helped and shepherded to obey God’s Word. There is a danger associated with giving application that must be avoided. Never confuse “examples of how a text might be obeyed” with biblical mandate. You might give examples of how to pray, but those examples aren’t Scripture, though they may be based on Scripture. You might give examples of how to parent children, but those examples must be stated as such, so people don’t get confused about what must be done with what might be done. One of the forms of legalism is elevating our personal convictions to the same authority as Scriptures (Mt. 15:19). Thus, when giving application, make sure you distinguish between what must be done (biblical mandate) and examples of how the text might be applied. If your congregation can’t understand what you are saying, then the sermon has failed even if it is accurately interpreted. There must be understanding and the best way to help people understand is to clearly explain, use words they understand, and illustrate what you are saying. Illustrations are stories, comparisons, cross references, or anything that helps make what is abstract, concrete and vivid in the minds of the congregation. The preacher can use comparison, metaphor, simile, write his own parables, or use contrast. There are many ways to make the text clear and simple. The goal is to make what you say vivid and clear in the minds of your hearers. Read the Sermon on the Mount sometime (Mt. 5-7) and note that Jesus uses 56 metaphors or figures of speech in that sermon! Also, notice His vivid examples, applications, references to concrete experience, simple words, etc. Everything Jesus says is simple and easy to understand. Transitions can be done in many ways and are important because they connect the sermon into a cohesive whole that has an understandable flow. They help your listeners follow along and not get lost in a jungle of verbal undergrowth. When you conclude, you are summarizing the main principles and applications discovered in the text. Usually you give a call to obey or apply what was learned e.g., “So from this text you have learned 1) ...; 2) ...; 3) .... These three things are God’s will for you. When you leave here today are you going to apply these things in your life or not?” Or, “We have learned that God wants all of us to ...,” Will you strive to obey God in these areas? James says the one who knows the right thing to do and does not do it, to him it is sin. Apply these things to your life.” When you conclude, draw a verbal line in the sand and have your hearers mentally choose which side of that line they will be on. C. Finally, you need to realize that everything else in the sentence talks about one of the two things above. That is your simplified grammar crash course. Below is the text of Heb. 4:12. Following the text is a visual breakdown of the text into its grammatical parts so you can see what is talking about what. Notice how the sermon title contains second person, is concrete, and relates to the meaning of Heb. 4:12 in its context. The sermon title serves the meaning of the text. Notice that each outline point contains second person, is concrete, and specific. Everyone will know this entire sermon is about them and their Bible. Notice how each outline point is derived from one of the five descriptions of the Word of God in the text. The outline serves the Word of God. Notice the subject is “the Word of God,” the main verb “is,” and everything else in the verse tells us specifically what the Word of God is. But not only is the Word of God living. . . (this is a transition statement from point 1 to point 2). The main quality mentioned is “sharper” also tells us the degree to which it is sharp; sharper “than any two-edged sword.” “Than any two-edged sword” modifies or speaks about “sharper,” and “sharper” speaks about what the Word of God is. By the time you complete the above, you will have a significant amount of information. It may not be very smooth, well illustrated or organized yet, but that is okay because you will go through the sermon several times to refine it. Notice in the example above, that the content of the sermon submits to the text, it doesn't override the text's meaning by eisegeting information foreign to the mind of the original human author. 3. Fourth, craft an opening statement – You can do this at any time, but I usually wait until I have gone through the sermon so I can create an opening statement that is answered by the main point of the text. In this case we are showing why we need to use the Word of God in evangelism and so I will probably create an opening statement that shows why people are hopelessly lost without the Word of God and the failure of any other means than the Word of God to bring sinners to repentance and faith in Jesus Christ. 4. Fifth, summarize background and context – since Heb. 4:12 is the conclusion to a warning section, I will do my best to state in as few words as possible the complex line of reasoning leading up to vs. 12, showing how vs. 12 relates to the proceeding context. 5. Sixth, make observations, do word studies, make interpretations – we have already noted above that this must be done as key words are encountered in the text. 6. Seventh, read commentaries and check scholarly resources – at this point you would read commentaries and include any helpful information you find in your sermon, and possibly modify word studies and interpretations if necessary. 7. Eight, identify timeless truths and principles – once you are convinced of the meaning of the text as a whole and its parts, you can look at each point and ask the all-important question, “So what?” You are looking for the purpose or significance for knowing the various attributes and qualities of the Word of God especially in relationship to evangelism. In this text, it is easy because regardless of time, culture, place, people, the Word of God is always living, active, sharper, piercing, and able to judge. 8. Ninth, make application and/or implementation – it is here that you would explain or illustrate how the Word of God should be put into use in real life evangelism. Maybe tell stories of sharing the gospel, of people coming to Christ, of people rejecting the Word of God and explain that even though people might reject the gospel, it doesn’t mean the Word of God isn’t living, active, sharper, piercing and able to judge. Seek to put yourself into their shoes, their experiences, their fears and frustrations. Anticipate their objections, raise and answer them in your sermon. 10. Eleventh, make sure you have smooth transitions throughout the sermon – just because the text is familiar to you does not mean that it is familiar to everyone else. Make sure you hold their hand from point to point, observation to observation. Make the study of the text an exciting investigation of the truth and the meaning of the text, showing its practical application to life. 11. Twelfth, conclude, summarize main points, exhort people to take action on what was learned from the text – since the entire sermon (Heb. 4:12) is about the attributes and sufficiency of the Word of God to bring sinners to repentance, you can make some general statements about the need for every believer to regularly share the gospel with those who don’t know Christ. Force them to choose in their mind if they are going to obey the Word of God or not, use the Word of God in evangelism or not. 1. Opener/Introduction is used to get people’s attention, to help them focus on what they need to learn, or to create a need in them or desire to hear what you are going to say. This can be a story, a hypothetical situation, something interesting you read, statistics, anything that is going to get people focused so they can hear the real meat of the Word of God. 2. Background and context are often used to orient the listeners to the text. You tell them what kind of book you are studying, the kind of literature, who wrote it, the situation of the author and/or their audience. You tell them whatever they need to know to help them understand the text, author, audience, and historical situation. This should not be confused with the opening statement or introduction. 3. Read the text and give a proposition. The proposition is a summary of what you are going to tell them in your sermon, lesson, or Bible study e.g., “Today, you will learn five principles for how to grow in godliness from this text so that your life gives glory to God.” This helps people prepare to receive what God has for them in the text. Now you are ready to get into your outline and take them through the text. 4. State what the passage says, be specific e.g., “look at vs. 9" (if you are in your main text or if you want them to look at a cross reference then say, “turn in your bibles to I Cor. 12:2" (repetition is helpful as people often forget the reference when they are trying to find it). Then read the passage or portion of the passage. If it is a cross reference, quote one line of context. 5. Interpret or make comments about the meaning of the passage that bring out the author’s intended meaning and why you read it (if it is a cross ref.). Point to key words like “notice what Paul told them in the middle of verse....” or “he uses the word ... to emphasize ...”. You don’t have to comment on everything, just those things you want to emphasize and that make the text easy to understand. 7. Then the application. In some texts, you can save all the application for the end, but most of the time I think it is good to spread it out as you encounter the principles in the text. Application is nothing more than the principles brought down to practical “how to apply the text” statements. “So we are not to be greedy, that is easy to say, but how can you, if you are struggling with greed and covetousness, overcome those sins? Here are four helpful things you can apply to your life. . .” And if you want to press it, probably to be done in the quiet time exercises, “make plans for how you are going to apply what we have learned from the Word of God in your life.” If you create guilt and conviction in your audience, give them a way out, a way of obedience, examples of how to apply the text and relieve their guilt. 8. Conclude. When you conclude, you are summarizing the main principles and applications discovered in the text. Usually you give a call to obey or apply what was learned e.g., “So from this text you have learned 1) ...; 2) ...; 3) .... These three things are God’s will for you. When you leave here today I hope you make a commitment in your heart to apply these things in your life.” Or, “God wants you to ..., God wants you to ..., and God wants you to...” Will you do this? Will you obey God? Charles H. Spurgeon, (2010-04-18). Lectures to My Students Volume 1 (Kindle Edition, Locations 461-464).